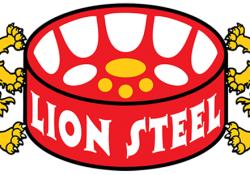 Hello again everyone, it’s hard to believe we are in December again and the concert season is upon us here at Leon! 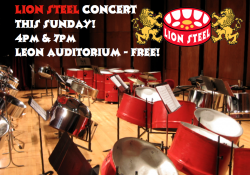 The Steel Band will be performing this Sunday, December 4th for our “End-of-Semester” show. There will be 2 shows, 4pm and 7pm, each free and open to the public here at Leon’s Auditorium. The 4pm show will feature our Pandemonium and Steel Crazy community bands and our Beginner student bands. the 7pm show will include Pans de Leon community band, and our Advanced level students! Each show should last 1.5 hrs. 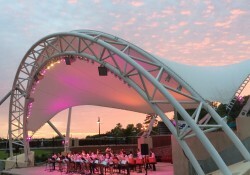 Tonight, April 21st, at 7pm we will be teaming up with FSU’s steel band, Mas ‘n’ Steel for a night of great steel pan in Tallahassee’s beautiful Cascades Park. The show is FREE and OPEN to the public, we hope you enjoy the show. We are welcoming VICTOR PROVOST to Leon as our guest for the concerts! 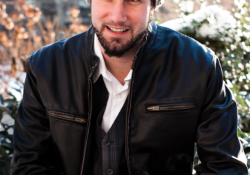 Victor is a highly sought after Educator, Recording Artist and Composer who is quickly rising to the top of his field. The concerts are today, December 6th @ 4pm and 7pm in Leon High School’s Auditorium. 4pm will included our beginning bands and adult bands, while the 7pm show will include our advanced bands: Jouvert, Bacchanal, and Canboulay Bands. The shows are FREE of charge, and relaxed in atmosphere, so bring the whole family and hear some great music! 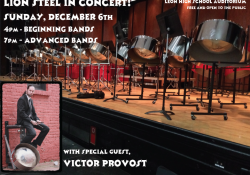 Winter Concert featuring Victor Provost! If you didn’t know, this weekend we will be welcoming VICTOR PROVOST to Leon as our guest for the concerts! Victor is a highly sought after Educator, Recording Artist and Composer who is quickly rising to the top of his field. The concerts are this Sunday, December 6th @ 4pm and 7pm in Leon High School’s Auditorium. 4pm will included our beginning bands and adult bands, while the 7pm show will include our advanced bands: Jouvert, Bacchanal, and Canboulay Bands. The shows are FREE of charge, and relaxed in atmosphere, so bring the whole family and hear some great music!